Birmingham, AL – White Arnold & Dowd P.C. 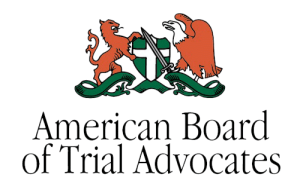 is pleased to announce that managing lawyer Augusta S. Dowd has been named president of the Alabama Chapter of the American Board of Trial Advocates (“ABOTA”). The general purposes of ABOTA are to foster improvement in the ethical and technical standards of practice in the field of advocacy to the end that individual litigants may receive more effective representation, and that the general public may benefit from a more efficient administration of justice, consistent with time-tested and traditional principles of litigation. Ms. Dowd has over twenty-five years of experience as a trial lawyer primarily in civil and complex litigation and white collar criminal defense. She practices in federal and state courts including appellate courts, as well as in administrative proceedings and arbitrations. Ms. Dowd represents both plaintiffs and defendants in a broad spectrum of cases including business, civil, class action, complex litigation, personal injury, mass tort, pharmaceutical, environmental tort actions, whistleblower, and regulatory matters. She has extensive experience representing defendants in white collar crime and criminal environmental matters. Additionally, Ms. Dowd handles executive severance and compensation matters.